The 2018 film, Three Identical Strangers, is gripping. It is both an exposé of a 1950s secret twin study (studies of triplets fall under the general heading of “twin or multiple birth studies”) and a heartbreaking portrayal of identical triplets, Robert, David and Eddy, who were separated at birth, then unknowingly placed under a microscope by psychologists intent upon learning how different family practices might yield different behavioral outcomes. This unthinkable episode in the history of twin research challenges not just established norms, but belief in the sacredness of family, and faith in the integrity of science. More needs to be researched and revealed about this dark study and I will be writing just such a book over the next year. And as one twin observed, “I wish someone would start a support group. This is all so crazy—no one, not even us twins understand the complexity.” Looking into the twins’ and triplets’ stolen childhoods and its profound effects on their lives will be a key goal. It is also vital to understand why identical twins, especially reared-apart identical twins and triplets, were critical to this inconceivable research enterprise. It seems fitting that twins (1) come in two types, (2) are fascinating at two levels and (3) enhance understanding of human development in two ways. All three are in full bloom in Three Identical Strangers. However, watching the film is not enough—understanding the science behind twin research and the public’s fascination with the findings shows why the film is so gripping, provocative and popular. The reasoning behind the classic twin design is simple and elegant. The degree of similarity within identical twin pairs is compared with that of fraternal twin pairs in any measurable trait of interest, such as spatial ability, body weight or running speed. Greater resemblance between identical twins than fraternal twins is consistent with genetic influence on the trait(s) in question. By now, thousands of twin pairs have participated in hundreds of studies around the world, yielding a 49 percent average estimate of genetic effects across characteristics.6 But what does that number really mean? It does not mean that a person’s ability or build can be dissected into genetic and environmental components because these effects are inextricably intertwined within individuals. It does mean that the members of a given population will vary because of both genetic and environmental differences between them: the 49 percent figure means that about half the traits’ variability within a given population can be explained by genetic differences among people within that population, with the other half explained by environmental differences. It is also possible to separate the environmental inputs into the experiences we share with our family members and those we do not. The power of twin research to show the greater resemblance between identical twins than fraternal twins in virtually all behavioral, physical and medical traits explains why it has attracted so many scholar across diverse disciplines. Aside from the more standard psychological and physical measures like intelligence and stature, researchers are using twins to study the roots of political participation, religious interest and financial investment. Some researchers use a variant of the classic twin design, namely co-twin control. This approach involves administering different treatments or training programs to identical co-twins, such as cold medications or sports training regimens, and later comparing the outcomes. Similar results in genetically identical individuals, with the members of identical pairs divided into the treatment and control groups, show that such interventions do not alter health or improve performance, whereas differences between the two groups mean that they did. Alternatively, researchers may explore existing differences between identical twins, relating to personality, disease or experience. They can then try to determine why one twin is more outgoing, less depressed or more cautious than the other twin, and use this information to assist non-twins. The relatively rare subset of reared-apart twins offers a powerful sample for understanding trait development. If identical twins grow up apart then the similarities between them cannot be ascribed to their rearing, education and/or communities—or to influence from their co-twin. Instead, it appears that within their different spheres of existence, each twin is drawn to particular people, places and events that are most compatible with their genetic backgrounds. 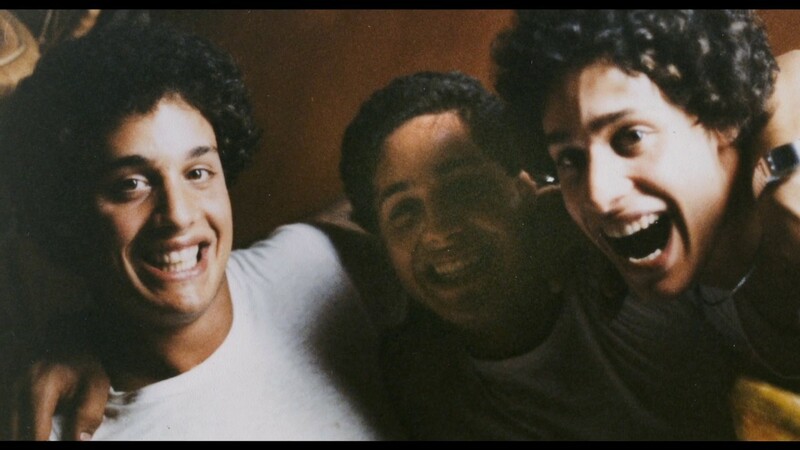 The triplets in Three Identical Strangers were typical in this regard, each making similar choices. Intuitively, it seems that even genetically identical people living apart should differ more than they do, but the data tell a different story, which is why scientists are surprised and captivated by twins. Of course, similarity in any trait is not absolute between identical twins regardless of whether they are raised apart or together. Identical twins share nearly identical genetic predispositions, but it takes environmental triggers to activate those tendencies. Sometimes only one identical twin develops diabetes, schizophrenia or gender dysphoria. Perhaps that’s because only the affected co-twin experienced an infection, trauma or some other misfortune, before or after birth, that triggered a chain reaction leaving them in a very different place than the unaffected co-twin. Also important is that extreme environments can overwhelm inherited propensities as I discussed in my recent book, Accidental Brothers (2018). In 1988, the members of two sets of identical Colombian male twins were inadvertently switched at birth, placing one in a culturally rich city and his brother in a remote farming village.8 Despite many behavioral and medical similarities within each pair, some differences in abilities, attitudes and accomplishments reflected the lack of education and other opportunities available to the country-raised twins. Twins reared apart seem to have cast a spell over people that can’t be fully explained by their similarities in measured quantitative traits. This may be because their resemblance is also striking at an anecdotal and idiosyncratic level, extending to unusual habits such as reading books back to front, placing a pinky finger under a beer can, leaving one square of toast uneaten and scattering love letters around the house.9 The triplets in Three Identical Strangers talked, walked and gestured in matched fashion. These behaviors, once thought of as mere coincidences, assume scientific significance given their duplication across reared-apart identical co-twins. It’s unlikely that there are specific genes for these tendencies, but the twins’ resemblance could be explained by a combination of many genes, each with small effects, linked to personality, anatomy and appetite. Seeing such behavior replicated in identical people who have never met opens new areas of inquiry and thought about how we turn out as we do. The triplets we meet in Three Identical Strangers are a single case study, not a full-scale investigation, but their similarities and differences can be viewed in the larger context of twin research. Their remarkable resemblance in abilities, interests, food preferences and choice of partners, in addition to their curly locks, sturdy build and outgoing personalities, are typical of the findings reported by five comprehensive studies of separated twins.10 As the triplets admitted, their similarities were unrelated to the kinds of parenting they each received which differed greatly. The film makes this point quite clearly and accurately. The close relationship that evolved so quickly and effortlessly among the three is also striking, challenging us to decide how these identical strangers, meeting for the first time at the age of 19, could immediately “fall in love with one another.” As Robert observed, when he met Eddy it was just the two of them as the rest of the world fell away. This is also consistent with the published findings. Three Identical Strangers also shows Robert and David discussing the loss of their identical brother Eddy to suicide, so difficult to witness as their extreme pain is palpable. Eddy was in his mid-30s and left behind a wife, Brenda, and a young daughter, Jamie. What caused this tragic event is speculated upon by those interviewed in the film, as well as by behavioral science professionals and the public at large. Some viewers may be left with the impression that the suicide was linked mostly to nurture, but the situation is more complex. It is true that Eddy’s rearing father was a strict disciplinarian, and Eddy never felt a comfortable fit in his adoptive home. In the film, Elliott Galland was tormented by the thought that he failed to teach his son more about how to live. It is, therefore, not surprising that Eddy’s wife believed that Eddy gained more than the other two from being with his brothers. In contrast, the triplets thrived from the warmth and welcome of David’s father who boasted that he had gained “two more sons.” Perhaps David’s father’s passing and Robert’s leaving Triplets, the New York restaurant that the three brothers jointly owned and ran, initiated a chain of events that eventually culminated in Eddy ending his life. Three Identical Strangers is worth seeing more than once because of the behavioral, societal and ethical issues it raises. The film is also powerful testimony to our universal fascination with twins. Perhaps twins are intriguing because they challenge cherished beliefs and expectations about each person’s uniqueness in appearance and behavior. Moreover, most identical twins enjoy an intimacy, trust and acceptance that many people truly envy. No two twins are exactly alike, nor is their individuality sacrificed by their shared heritage—but the power of two, or three, is a force to be reckoned with. Nancy L. Segal is a professor of psychology and director of the Twin Studies Center at California State University, Fullerton. She is writing a book about the dark study that separated and studied the twins and triplets. Feature photo by Anne Richard / Shutterstock. 1 Segal, N.L. (2017). Twin Mythconceptions: False Beliefs, Fables, and Facts About Twins. San Diego, CA: Elsevier. 2 See Segal, N.L. (2000). Entwined Lives: Twins and What They Tell Us About Human Behavior. N.Y.: Plume. 3 Szekely, J., Abbe, K.M., & Gill, F.M. (1981). Twins on Twins. New York: Clarkson Potter. 4 Segal, N.L. (2007). Indivisible by Two: Lives of Extraordinary Twins. Cambridge, MA: Harvard University Press. 5 Walsh, G., & Pool, R.M. (1940). Shakespeare’s knowledge of twins and twinning. Southern Medicine and Surgery, 102(April), 173-176. 6 Polderman, T. J., Benyamin, B., De Leeuw, C. A., Sullivan, P. F., Van Bochoven, A., Visscher, P. M., & Posthuma, D. (2015). Meta-analysis of the heritability of human traits based on fifty years of twin studies. Nature Genetics, 47(7), 702–709. 7 Segal, N.L. (2012). Born Together-Reared Apart: The Landmark Minnesota Twin Study. Cambridge, MA: Harvard University Press. 8 Segal, N.L., & Montoya, Y.S. (2018). Accidental Brothers: The Story of Twins Exchanged at Birth and the Power of Nature and Nurture. New York: St. Martin’s Press. 11 Segal, N.L., Hernandez, B., Graham, J.L., & Ettinger, U. (2018). Pairs of genetically unrelated look-alikes: Further tests of personality resemblance and social affiliation. Human Nature, 29(4), 402-417. 12 Pedersen, N. L., & Fiske, A. (2010). Genetic influences on suicide and nonfatal suicidal behavior: twin study findings. European Psychiatry, 25(5), 264-267. Nature vs nurture, genes vs environment is a false dichotomy – nature and nurture genes and environment interact. Imagine still pushing twin studies even after Joseph showed how fallacy-laden the assumptions of these studies are. Amen! Genetic determinism and reductionism still lurches on like a zombie. Otherwise wise and thoughtful people on Quillette and elsewhere devalue and dismiss parenting but then expect children to grow up and exercise personal responsibility. Nor is this the simple left versus right argument many contend. The hand that rocks the cradle still rules the world and the child is still the father to the man. I don’t think genetic determinism and reductionism in the sense of a believe that the entirety of someones personality, skilsl and achievemenst are genetcally determined exists or has ever existed. The reverse proposition taht everyone is a blank slate with everything determined through the environment still exists but is directly contrary to the evidence. An acceptance that these things are the result of a combination of genetic and other congenital effects and the live denvironment should allow a more nuanced debate about degrees of influence. I am sceptical about the claimed extend of genetic influences on IQ variation for example because of the Flynn effect which makes it clear that measured scores are very significantly affected by non-genetic factors. It may be a false dichotomy, as you say, in terms of trying to assert what is the only contributing factor influencing a trait. However, it is still useful for determining how much influence do genes and/or environment exert over said trait. There’s a difference there. It may be a false dichotomy in terms of determining whether a trait is determined purely by genes or by the environment, but it is useful in determining what’s the relative influence of genes and/or environment over said trait. Two different things. While I agree gene expression is powerfully influenced by environment; the extent to which genetic makeup predisposes one to react to environmental factors is also powerful. Twin studies are a robust technique to tease out the relative influence of nature vs nurture although clearly care should be taken to ensure that experimental protocols are designed to passively observe rather than overtly influence. RaceRealist is UnReal. Twin studies have provided rich and robust data on genetic influence on personality, intelligence, and other psychological traits. And continue to. Read “Blueprint” by Robert Plomin. Today’s politically correct environment hates studies supporting genetics over environment or equality. A hundred years of research into race and IQ comes to mind. As an undergrad, I was very intrigued by psychology, and took as many classes as I could. Interestingly, the studies that revealed most scientific,as opposed to ideological,evidence. Were impossible to replicate today, or even then, as they would be unethical by modern standards. Brave article in today’s climate, Thank you. One of the more interesting aspects of Plomin’s book is his professional trip to the USSR in 1983. He encountered exactly the same bias against genetics there. Soviets could accept that genetics impacts children, but not adults fully socialised into communist ways. This fits my long held belief that the endpoint of identitarian progressivism (if it were ever allowed to triumph) is the recreation of the late 1980s USSR. Anita did you know that IQ’s have risen in Western countries by nearly 30 points in the last century? How does that fit with nature over nurture claims? Assuming that is indeed true (source?) then it likely had much to do with improved nutrition. Furthermore if true it would seem that all groups improved by roughly the same amount. I.e., Askenazi Jews are still a standard deviation above typical Europeans, and sub-Saharan Africans remain a standard deviation (or more) below typical Europeans in terms of general IQ. Steve ” . . it likely had much to do with improved nutrition.” Likely, a factor which is and environmental factor ie nurture rather than nature, and the IQ increase is being seen in other parts of the globe as they become wealthier and better educated. The point I’m making is that 1. if the environmental factors are dramatically different they can contribute to far more to the nurture/nature balance than they do in situations where the environments are only moderately different and 2. Sub Saharan Africans today have average IQ’s as high or higher than Westerners of a century ago, perhaps there wealth and education levels are similar to Westerners of a century ago (they are). Additionally the IQ’s of East Germans were lower than West Germans, that gap has closed rapidly since reunification. Nutrition effects could be studied by tracing the IQ of wealthier groups. There is another potential cause and that is that technology has provided access to expotential range of experiences that the brain has to process. We have more educational experiences when young which exercise the brain more holistically than occurs in small group environments. Genetics is always however the base platform that experiences (nurture) interact with. IQ inflation is a well-known phenomenon – just like grade inflation. It’s a pretty old one, too – even “The Bell Curve” talks about it. Selective mating, survival of the fittest, racism, the patriarchy, global warming, fluoridated water, mashed potatoes and the fact that IQ tests seem to be written by Westerners could all be factors to consider. Actually there is quite a bit of evidence against against the written by westerners argument. Since at least the 1970s psychologists have done everything they can to find different results ranging from testing toddlers to language free testing to eliminate cultural or language bias. However the results remained the same. Conversely there is good evidence that good nutrition in the first seven years of life does increase IQ. After WW2 many countries actively worked on increasing child nutrition providing some or all of the following for children : free milk, free well balanced lunches, promotion of access to fresh fruit, promotion of breast feeding etc. Whilst I’m not qualified to say so, I suspect this was responsible for the overall increase in IQ in the later half of the twentieth century. I suspect that the decline of the family unit, the necessity for young mothers to work, the dependence on fast food outlets (particularly for lower socio-economic demographics (who may also have a higher correlation to genetic low IQ) will result in a continual decline in IQ as the twenty-first century continues. Damn all the different time zones in the Anglosphere ,lol. The evidence for a genetic influence on intelligence is massive and rock-solid. The Flynn Effect you’re referring to says nothing about that demonstrated genetic effect. No one ever said intelligence was entirely genetic. What has been proven is that shared home life does not make siblings more alike. Adopted children are more like their biological parents and siblings than their adopted parents and sibs. Regarding the Flynn Effect: African Americans scored one standard deviation behind whites in 1940 and in 1970, while the Flynn effect was happening. That is, however absolute scores have changed over the years, the same people have stayed on top – and on the bottom. markbul, As far as I know there has never been an experiment performed that tests how much the development of intelligence as measured by IQ is influenced by Charles Cooley’s Looking-glass self. There is certainly evidence that other arbitrary labels we attach to people: given names, star signs, do influence how people label others, how people see themselves and the development of their personalities. Does living in a black skin vs a white skin alter how wider society sees someone, and more importantly how people see themselves? Would this self perception alter the life choices and a persons self belief, leading to white skinned people on average having more confidence in their own innate academic ability, black skinned people having less confidence in their innate academic ability, but more confidence in their own athletic abilities? Creating self-fulfilling prophesies? Did Western nations resemble Sub Saharan African nations this time last century? And before you mention colonialism, before colonialism, the vast bulk of Sub-Saharan Arica was literally in the stone age — the exceptions being the areas colonised by Islam. I also said “perhaps their wealth and education levels are similar to Westerners of a century ago (they are).” Though that’s hard to compare, obviously Africa today has both more modern and more primitive aspects to it than the Europe of 1919. The averages of some metrics: life expectancy, literacy amongst the young are at similar levels. Western advances in science, medicine, technology etc are why those metrics have risen so rapidly. So…native average intelligence levels are not responsible for it. Perhaps you’re reversing what I’m saying, which is that greater wealth and education in Africa (and the rest of the world) leads to a population of higher intelligence (as measured by IQ), not that higher IQ in Africa is leading to greater wealth, though that would be the feedback. But, why then did Japan, South Korea and China, for example, rapidly assimilate western advances, and even outdo them in some instances, while sub Saharan Africa is still so far behind? You may be correct, there’s absolutely no evidence to suggest do, but who knows. The sensible thing to do is wait and see before you attribute the blank slate to the human race. Good fences make brilliant neighbours. When you look back over the past few thousand years you can find examples of peeks of civilization in some places that were far ahead of Europe at that time but are backward compared to the West today. There hasn’t really been such a peek in Sub Sahara Africa but I’m not going to dismiss the people there as less capable on that basis. Because that would be like the Egyptians of 5,000 years ago dismissing Europeans as inferior or at others times in history the Chinese, Indian or Persians doing the same, even within Europe the Greeks today aren’t held in such high esteem, but once they were the peek of civilization in Europe. Various theories as to why Sub Sahara Africa never created that great civilization have been suggested: Does the equatorial climate not do enough to force the people into the practice of preparing for winter, thus encouraging longer term planning? Or is it that, unlike other parts of the world, the geography doesn’t encourage the assent of geographically separated rival kingdoms, each competing against the others? In Sub Sahara Africa each part of the continent blends into the next, not divided up by mountain ranges like the Himalayas, the European Alps and the Urals and bodies of water like the Mediterranean Sea, the Black Sea, and the waters separating Japan into islands and from the mainland. Is it coincidence that the greatest maritime empire ever created was from the island nation of Britain, that Britain itself was the welding together of 4 peoples each to a degree geographically partitioned from the others? The problem is, Europe has played a major role in all the epochs of human civilisation, from Bronze age, iron age, the classical period, the middle ages, ( however you want to classify them )…and yes, so has Asia, middle east and North Africa. In fact, if you want to be extremely politically incorrect, you could argue that really, the humanity is separated by sub-saharan Africans and everyone else. Every other group, for example, has Neanderthal DNA. The most is seen in east Asian,s and they have highest average intelligence levels. I’m not saying that’s correct, but it makes more sense than the wishful thinking narrative. I’ve just had a quick look at the distribution of Neanderthal DNA and from what I could tell its concentration is highest in the native populations of the Americas, which only had a couple of ancient civilization of note that we’re aware of. After posting my last comment I put “terrain” on on Goggle Maps, and, well, the relationship between contour and the establishment of various civilizations was striking. They were almost all semi-isolated from the populations around them, protected by geography which created the language differences we see today, this is especially noticeable in Europe where Italy, France, Britain, Iberia, Greece and other peoples were semi-isolated from each other by geography, enabling the development of sizable distinct populations to develop. Looking at the Americas you can see the same thing, the Inca’s on the West side of the Andes, and the Aztecs in the valleys of Southern Mexico, and looking across Asia mountain ranges were again common in dividing up the terrain where civilizations were nurtured. Then you look at Sub Sahara Africa and you see nothing in the way of mountain ranges and seas breaking up the geography, there’re no natural nests isolating manageable populations from the surrounding peoples. I think Andrew Worth need to cite his reference demonstrating that today’s average IQ’s are 30 points higher (than a century ago). If true then todays average of about 100 would have been 70 (threshold for intellectual disability). I don’t think so, they were extraorginary clever at this time in history. The environmental influences a child experiences in the home should also be expected to differ from that of her siblings. Parents treat their kids differently because kids are different. I can’t say I’m familiar with the studies on this, but if they assume parents treat their children the same they are likely underestimating the role of parents in child outcomes. Also true in things like kids interest in reading, which is largely genetic, i.e. not JUST environmental in terms of how many books are around the house. They’ve looked at the comparisons between identical and fraternal twins, not merely siblings and/or step siblings. Having known a number of both types of twin sets over the years, my experience is that the “provocative finding” is probably correct. There is a theory called the CLASH model – Climate, aggression and self-control in humans that examines why there is overall more violence and aggressive crime in hot climates. The researchers believe that hot climates and less variation in seasonal temperatures leads to a faster life strategy, less focus on the future, and less self-control — all of which contribute to more aggression and violence. There is an evolutionary advantage to having to plan for winter, having to plan ahead, store, harvest, etc. Generally speaking, areas with very little temperature variation around the globe have lower IQ’s, higher incidences of violence and aggression, and lack of self-control and impulse control. Instead of just arguing that whites have higher IQ’s because they are somehow superior, we should be looking at WHY some parts of the globe advanced and evolved faster than other climates. Africa has always been considered the dark continent, and South America, and more particularly Central America were colonized the same way that Africa was and were also part of the slave trade. Technology and modernization is changing all of that around the globe. As more people, even in developing nations have access to means to keep them alive and medications and sanitation to keep tens of thousands from dying of plagues and other pathogenic infections, innovation and technology will increase the IQ of those that have the ability to use technology to innovate, create and become entrepreneurs. The flip side of this argument, the cautionary tale, if you will, is that as westerners don’t NEED as much, and their survival does not depend on innovation, there is a very good likelihood that our IQ will continue to decrease. We are already witnessing it anecdotally with the dumbing down of society, reality TV, social media turning every moron into a keyboard warrior, and moves like Idiocracy play homage to that. Amy Chua (Tiger Mom) wrote a controversial but great book called “The Triple Package” in which she describes the three traits that leads some cultural groups to great success in America over others, and how if Americans aren’t careful, we could experience decline since we have lost some of the three traits of the triple package, including impulse control, a sense of superiority and an inferiority complex, or something to prove. Parents treat their kids differently because kids are different. I’m not aware of any study (but I didn’t look for them, either) of sibling rivalry which discusses twins (either MZ or DZ). There’s a book by Frank J. Sulloway titled Born To Rebel: Birth Order, Family Dynamics, and Creative Lives which is about the various amounts of Openness To Experience displayed by people in various positions among siblings, but I don’t recall any particular conclusions about twins. Having 5 siblings and raised 3 daughters over 3 continents I must also point out the dualistic nature of personality traits inclines and subjects them to different forms of nurture. Assertiveness is the flip side of aggression; reared one way the positive side might dominate, another way the negative side for the same person let alone two with similar assertive/aggressive personalities. Similarly, in some places violent resolutions personal conflict are the norm and in others taboo. Most of personality is innate but much of its expression is cultural. Of course this is obviously right wing propaganda for those that fear science. Trump is obviously responsible for his suicide. @S. Cheung: what would you like to happen to white people? If I recall correctly, this is “S.Chung” not “S Chung” and his comment is satire. But I might be wrong. The most terrible thing is that today these babies, and twins, regardless of their skin colour, would not be alive. Very few unwanted babies are placed up for adoption anymore. Feminists prefer that they be murdered by abortion? @S. Cheung Ha ha! Triplets of color! Albino ones probably the most intriguing, and of course being the most white, the most privileged. Ha ha, triplets of color! Obviously, albino triplets would be the most privileged, that would be a most invaluable study! I could be wrong, but I don’t think that’s the real S. Cheung, fyi. Someone claimed the name on another post recently and S. Cheung said something about it. Sweet Jesus man. You are a pathetic moron. Grow a set and post with your own handle. I cannot believe Quillette tolerates this. I wonder if the effort and cost of having to moderate the comments is why they keep it so simple? The creator is based out of Australia, correct? Perhaps they have laws that de-incentivize making the comments more substantial. fascinating topic, looking forward to the book, hopefully it comes out on audio, it’s the only way I have time to read these days. I have a (biological) child who experienced wild, lengthy, violent rages from very early. I raised him in a particular manner and at 15 he’s healthy, socialized, social, loving, intelligent, and thriving in every way. I have absolutely NO doubt that if he had been raised by another parent according to the trends and dictates of conventional medicine, conventional mental health, conventional parenting, and conventional schooling, he would VERY likely be jailed or otherwise institutionalized by this point. I have no experience with twins. My comment is limited to the larger nature/nurture issue. The twin studies show that IQ and personality are largely genetic, although environment also plays a lesser role. Among those that promote the nurture side as the solution to social and economic disparities, the major problem is none of these twin studies (that I am aware of) seem to provide any empirical demonstration of just what environmental manipulations or differences explain the “nurture” portion of individual differences in IQ and personality. Parenting, friends, and schooling seem to play minor roles, but even within their limited influence we know very little about what parenting or educational or social interactions elements beyond certain levels of physical or emotional abuse “set off” differences in interests and abilities between individuals. Nutritional deficiencies and exposure to lead among children are known to cause cognitive deficiencies, but as these childhood problems become less common environmental factors as explanations for individual differences in IQ and personality will likely become even smaller relative to genetic factors. This is also why more money for education, more money for social safety nets, and more money for other “nurture” or “environmental” interventions have not solved problems of inequality of outcome. Twin studies are not ideal for studying intelligence and personality–they were used mostly because psychologists had no way to study human genetics directly in the pre-molecular era. What are the defects of twin studies in humans? MZ twins share not only their genomes but also their prenatal environment [placenta and amniotic sac]. DZ twins have different genomes AND different prenatal environments. This sets up a genotypeXenvironment covariance that inflates heritability estimates. MZ twins are often dressed and named similarly by their parents, another source of GXE covariance. Adoption studies purport to break up this covariance, but the notion that adoptions are done randomly or even haphazardly is wrong–there is still some covariance. Studies using molecular polymorphisms suggest a narrow-sense heritability* for intelligence of around 50%. so it is WRONG to say that ‘….IQ and personality are largely genetic, although environment also plays a lesser role…..’ This value is lower than from twin studies mainly because GXE covariance and some other sources of variance [see footnote] have been reduced or eliminated. Certainly there are always weaknesses with any study that deviates from true random experimental design, which are usually not ethically allowed in human studies. Yet the consistent finding of 50% to 80% genetic causation can safely still be called “largely” genetic, especially when nobody is able to reliably demonstrate what specific environmental factors make significant differences in individual variance. As noted by Stephanie and James Smith above, it also seems very likely that genetic factors influence the nurture side, since parents, teachers, friends, etc. treat people differently depending on their perceived inherent intelligence and personality. DNA research does not seem to be calling into question the genetic inheritance findings of twin studies when it comes to IQ or personality, and in fact seem to be moving towards conclusions of more nature and less nurture. These consistent findings of the high genetic causation of IQ differences are especially impressive given the considerable amount of effort expended by social justice warriors to discourage, vilify, and discredit IQ research. This is an excellent point. Rearing of children is not only planned, often subconsciously, but is also reactive. A truly remorseful infrequently misbehaving child will be disciplined differently for the same offense committed by the belligerent frequently misbehaving child. Parents tend to play the hand they are dealt, frequently relying upon similar child rearing resources. Additionally these studies either rarely study or rarely mention studying the adoptive parents. For instance are parents who are prone to adopt more likely to come from similar or varied socioeconomic groups? On average are adoptive parents more likely to be church going, liberal, conservative, ect… Finally did the adoptive parents of separated twins employ similar parenting techniques and disciplines. Of the few separated twins stories I have heard the siblings are often found living in proximity to one another, suggesting they may be subject to the same regional influences. I have read cases where twins have been raised in very different countries, religions etc.? we’ve been through this before, and I don’t intend to rehash. I would merely point out the Nisbett and Neisser reports (h/t Peter Schaeffer) that are referred to extensively in the NYC Elite schools thread. They acknowledge both factors, but make the opposite conclusions to you as to their relative importance. Twin studies are included in their assessments. Nuff said. Elsewhere, you mention trial design. There is actually no way to do such a study in the current sense, because you cannot randomly assign intelligence. We are not sufficiently advanced even with the genome project to know whether “intelligence” is monogenetic or polygenetic, and to the degree of phenotypic penetrance of any one or all such causal genes. Nor have we mapped any such genes. Someday, if those answers are available, we may be able to identify SNPs (single nucleotide polymorphisms) within such genes, which do occur randomly…then using a method called Mendelian randomization, begin to casually measure the impact of a certain “intelligence” gene on phenotypic expression of intelligence (IQ, or whatever metric may be used then). We are a long way from there presently. SC – I’m pretty sure I’ve done more reading and research on IQ than any commenter on this site. Look at my MIT link above that provides some background on DNA research related to intelligence, which is early stage but many elements associated with IQ have already been identified and it clearly isn’t a single “smart” gene. There are lots of academics on the Left that hate the idea of IQ and/or hate the idea that much if any of IQ is genetic, but they have failed to identify much in the way of environmental factors that are strongly linked to IQ. Thus it is easy to find papers that claim to have research that shows IQ isn’t important or that IQ isn’t genetic, but they are losing their battles to the DNA projects that clearly show increasing links between genes and intelligence. The Plomin stuff is interesting indeed. Thanks. As you say, early stages. But the methods he seems to be using will only show correlation even when assessed with multivariate logistic regression. “Still, the issue is accuracy—or lack of it. Right now, the polygenic scores capture only a fraction of the genetic determinants of intelligence and none of the environmental ones. That means the predictions remain fuzzy.”. Elsewhere it speaks of accounting for 10% of any measured IQ difference, and only in Europids. Obviously your preference is for genetics to trump all. There is certainly nothing wrong with saying that you wish it to be so. And it may yet be proven to be so. But as of today, there is nowhere near the proof that it is so. Yet you still proceed as if the science is settled today, when clearly it is not. SG – the main reason I favor genetics as the likely cause of most IQ differences is simple observation and knowledge of history. Blacks, lower caste Indians, most indigenous tribes/peoples have measurably lower average IQ, have made virtually no contributions to culture, technology, and science throughout time, and have not closed the achievement gaps significantly even with much improved environments and mobility of modern times. On the other hand, Ashkenazi Jews, NE Asians, and white Europeans have measurably higher average IQ, and are responsible for most of the culture, science, and technology achievements of the past 2000+ years. Even the few achievements and contributions of the “dull” groups are often because of racial/ethnic intermixing, and thus the higher IQ of US blacks vs sub-Saharan blacks is mostly due to white bloodlines (and genes) mixing with blacks in the US over the past 400 years. It is also readily observable that smart parents tend to have smart kids, and that dull parents tend to have dull kids. It is hard to reconcile these persistent differences in time and place primarily to environmental factors, but much easier to see the much greater likelihood of genetics as the primary driver. you mention lead. Naturally I agree, since it is mentioned in Neisser. Observational study, once again, and to be sure. Same limitations as usual. But in summary box at bottom, see link the CDC site. “Today at least 4 million households have children living in them that are being exposed to high levels of lead.” Is it “becom(ing a) less common environmental factor(sic)”? Perhaps. But I wouldn’t say it’s an uncommon one. SC – Lead exposure is much lower today because it has been taken out of gasoline. Yes it remains in some older buildings – ironically often in public housing that is supposed to help the poor, but even that exposure is almost certainly less than 30-50 years ago when all vehicles were burning leaded fuels and many painted surfaces in houses had lead paint. Exposure will almost certainly be reduced further in coming years so one environmental factor is almost eliminated. It is also important to note, lead exposure reduces IQ from the genetic potential, hence if someone with an IQ potential of 100 is exposed to lead as a child they may only reach a mature IQ of 90 (more or less depending on the degree of exposure), but eliminating lead won’t raise IQ above the genetic potential. As you note, that irony is additive to the socioeconomic situation that already exists (ie not only are poor people poor, they get more lead to boot). Also, I’d note that the reduced exposure at any point in time may not be fully represented as a reduced biological effect for years afterwards, perhaps even a generation (because even eliminating exposure today does not inoculate people who have already been exposed). CDC also says such exposure remains high in a non-negligible number of households. I agree that such exposure, or any environmental factor, merely detracts from a person’s realization of their full potential. That is in fact my entire point over 2 threads. Equality of opportunity to me is to remove barriers (lead or otherwise) to allow people, individually and as a group, to fully realize that potential, and the rest is up to them. But with lead or otherwise, we are clearly and obviously not there yet. From what I’ve read over the years, so does THC consumption in teen and early adulthood. In other words, before the maturation of the pre-frontal cortex. Very well said! I agree. But never fear the upcoming popular, youth and their adoration with socialism / communism are no longer satiated by equality of opportunity, they are now seeking control of equality of outcome ? Thank you Anita. The interesting thing about the desire for equality of outcome is that it is mostly self-defeating because outcomes are mostly genetic based. For example, if we invest more in education, whatever small effect that might have will magnify the difference between the smart and dull, because the smart will get more out of any resources that are directed towards them than the dull. Of course we could direct more resources towards the dull and let the smart fend for themselves, but that will certainly have detrimental effects on society as we lose some of the potential of the best and brightest, and as the recent elite school scandal shows, the elite won’t let their kids become second class citizens even when their progeny are lazy and stupid. What outcomes? Getting married and having children? Living to age 90? Winning the Nobel Prize? Completing high school? Becoming a venture capitalist? Notice the sleight of hand trick. From DNA marker studies, IQ scores have a narrow heritability of 50%. That is ‘some’, not ‘most’. intelligence is not perfectly correlated with life outcomes. You know, accidents, infectious diseases, bad luck, etc. So how can ‘genetics’ determine most of life’s outcomes? The chain of causality is too weak. JBN – IQ is the single most important predictor of life success or failure. Low IQ is strongly associated with going to prison, drug abuse, single parenthood, and dropping out of school early, while high IQ is strongly associated with doing well in school, higher career earnings, and marriage success. Certainly environmental factors play a role, but IQ and personality are typically found to be the more important drivers of life success. DNA research is only starting, but has already found many markers of intelligence that are highly correlated with IQ, and further work is almost certain to confirm the absolute dominance of genetic factors in IQ. Meanwhile the percentage of people in western countries (and even many developing countries) that have nutritional deficiencies or exposure to lead in childhood is rapidly diminishing, which are two of the few known environmental factors that can limit IQ/brain development, which means environmental factors will explain less IQ variance over time. Again, these are right-wing political claims for which you supply no links, and for which there is little factual evidence. How many is ‘many’ and how high are the correlations? That claim is false, given that you freely acknowledge that nutrition and exposure to pollutants and contaminants [pre- and post-natal] have a significant effect on intelligence. There are plenty of associations, but trying to turn general intelligence into some accurate predictor of life outcomes is entirely lacking in empirical evidence. Does IQ predict which quarterback will win the starting spot? Does it predict which sales manager will earn the most sales? Which actor will win an Oscar? It would be trivially easy to find an statistical “association” between IQ and all these things because intelligence is required to do anything, and more of it helps even the simplest of tasks. But there are plenty of associations- We know that being slightly taller, or physically attractive, or gregarious are all associated with positive life outcomes. Accomplishing a large complex task like an Oscar or NFL career or profitable company require the successful application of all of our human attributes, in combination with each other. Chip – Does IQ predict which QB will be the starter? Probably not, but it will predict pretty well which player will be QB vs other positions, because a good QB is almost always the smartest guy on the team. Same with actors, it won’t predict who will win the Oscar, but it will predict pretty well who will be a successful actor versus an assembly line worker. When I say IQ is the single biggest predictor, it doesn’t mean other factors aren’t also influential in life success. You won’t find many successful quarterbacks who are 5 foot 4 and weighing 120 lbs, so certain physical attributes are also needed, but you also won’t find low IQ people as quarterbacks, corporate CEOs, and Physics professors, although they will be common among school dropouts, welfare recipients, single parents, and behind bars. JBN – I’ve provided tons of IQ related links, but apparently you don’t like them. Perhaps you prefer videos? Has there been any published evidence showing such a pattern for athletes, artists, and other trades, where IQ is more predictive than say sociability, appearance, and hand/eye coordination? Chip – these are the types of IQ charts or lists of occupations associated with high and low IQ. Neither of those had anything to say about athletes or artists. But in any case- If you look at the scale on the occupational link, you will notice that the ranges are really, really broad, with a tremendous overlap. So a janitor and a surgeon have a good chance of sharing the same IQ level. And the ranges have nothing to say about success in any field of endeavor; a given worker at the bottom of the range may outperform one at the top. The point here isn’t to say IQ has no value. Its to say that placing it as the primary driver of outcomes is unsupported; Complex systems demand complex skillsets, where oftentimes a deficit in one set can be compensated by another. More exaggeration from a chronic exaggerator. The MIT technology review article is mostly a puff piece about R. Plomin–written for a general audience–that includes a few quotes from academics pushing back against his far-fetched idea of a genetically-customized education that based on a student’s polygenic score. My son is now 32. He is genetically the child of another man but I have raised him from the age of 18mts. He is in nature and character the son of his natural father. He is absolutely nothing like me in nature or temperament. I was always ambivalent on the nature/nurture question out of lack of interest, since growing up in a family of nine I was exposed to a massive dose of both. That was until I met Mary. Mary is one of the toughest SOBs I know. She is a captain at a firehouse and can stand toe to toe with any man I know on any topic or situation. Everything about Mary screams nature, I am now solidly on the 90% nature 10% nurture side. Sorry but I don’t understand what is/was so terrible about this study. So these people didn’t know they were being studied, that seems rather normal since knowing you are being studied can alter your behavior. Why should I be appalled? Ray – from what I understand there is some evidence that the triplets were put up for adoption in separate households as part of an experiment, which brings up some troubling ethical issues. Ah. So their separation itself was contrived? Sheesh. Didn’t mom have something to say about that? The article is scarce on details. I suppose the question is what would have happened otherwise. Studies of heritability of height show that it is >70%. Yet we know that an adult’s height can vary strongly due to childhood nutrition. Population studies in Japan show a strong increase in average height, certainly due to improved nutrition. I suspect that the population wide improvement in IQ also comes from nutrition. I will be writing just such a book over the next year. You might want to examine those MZs who were reared apart in different countries as well. For years South Korea was one of the largest senders of infants and children overseas. In some cases MZs were sent to different destinations, for example Samantha Futerman (US) and Anais Bordier (France), and other times one was kept by the birth parents in Korea and the sibling(s) sent to Europe or North America, for example Dan Matthews (US) and Kiseong Park (Korea). You might want to check with the International Korean Adoptee Association. Every single living organism on planet earth is completely dominated by their genes…except for humans, which are 99.99% dominated by their genes. I’m sure you could easily prevent a wild lion from attacking it’s natural prey by dropping juicy cuts of meat around its den…does this mean you have socialised and tamed the lion? Of that the lion behaviour is 50/50 or 70/30, or whatever arbitrary division you want to mention? The first paragraph says so little about the film being referenced that it’s hard for me to associate it with the rest of the article, which immediately goes off on a tangent. If the author is going to write a book on this subject, she needs to learn to stay on topic. True. I happened to have seen info on the film when it came out, and consequently searched out information on it. If I hadn’t, I would have been completely bewildered. Quillette’s hole is its lack of editing, copyediting, and proofreading. First of all, none of us are new here. We have all been here many times (incarnations) before. We also have a superficial social personality (face) and an unconscious deeper personality which carries over the deep structures of our existence-being via our etheric energy body from lifetime to lifetime. Interesting to note that my use of the word etheric was questioned by the spell-checker associated with the Quillette website. The unconscious contents of that deeper personality vehicle determine and pattern much of what we dramatize on to the world stage. Furthermore, everyone also has a deeply patterned emotional-sexual Oedipal script or which they (again) unconsciously dramatize in all circumstances. In relation to all other human beings and the World-Process. It also determines and limits everyone’s “religious” conceptions. Also check out the extensive section on Joseph Chilton-Pearce. He spent a lifetime investigating how our “culture” brutalizes us (even in the womb). Check out the Heart-Math Institute too. Furthermore the psycho-physical state of both the male and the female at the moment of conception creates an almost indelible engram in the psyche of the entity that begins its incarnation at the moment of conception. Furthermore the new incarnating entity effectively chooses to be born or is attracted to the combined psycho-physical energetic vehicle/pattern of the copulating couple. This energetic psychic process explains how the “sins of the fathers and mothers” are passed on from generation to generation. What then is (and has been) the psycho-physical state of most parents in human history? What “sins” have they bequeathed their off-spring? Will this deadly circle ever be broken? It seems to me that the various researchers featured on the ttfuture website are pioneering ways in which this deadly circle can be out grown – one at a time. It quotes Lawrence Wright and his journalism on separated-at-birth siblings at length and then ignores his conclusion that there is no way to ascribe such children’s different life trajectories to “nurture” as opposed to nature. It concludes that the “twin” who committed suicide did so because he was raised by a strict adoptive father, effectively throwing in a sad old man (who is on camera in the film) under the bus. The man was a teacher, maybe strict, but he loved his son. We all are interested in research on separated identicals, but this movie is a lot of heat pretending to shed light. Its makers should be ashamed of themselves.